← Personality versus Individuality and WHY it’s a Need to Practice AWARENESS !!! To Remain INFANTILE make in Peril your Future as an ADULT !!! 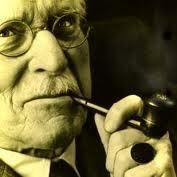 Carl Gustav Jung ! Infantilism, however, is something extremely ambiguous. First, it can be either genuine or purely symptomatic; and second, it can be either residuary or embryonic. There is an enormous difference between something that has remained infantile and something that is in the process of growth. Both can take an infantile or embryonic form, and more often than not it is impossible to tell at first glance whether we are dealing with a regrettably persistent fragment of infantile life or with a vitally important creative beginning. To deride these possibilities is to act like a dullard who does not know that the future is more important than the past.